Preparations are in place for this year’s Vodacom Durban July. More than 50 000 people are expected at Greyville Racecourse to witness South Africa’s best thoroughbreds race to the finish off the R3-million event. Glitz and glamour will be the order of the day, but betting and festivities will not be limited to the racecourse. Entertainment outlets in the region are gearing up to entertain fun lovers. Residents of townships around Durban such as Umlazi and Umgababa on the south coast say they are ready to spoil the local visitors and holiday makers. Owner of a venue near the Old uMgababa Sunlight Beach, Mondli Mtsho Makhathini, says they are looking forward to the weekend. This year’s event will be celebrated under the theme “It Is Time” and event organisers say the concept has been warmly received in racing, fashion and social circles. Fashion designers, hospitality providers and race goers will give their own interpretation of this theme to find that perfect look for the day. 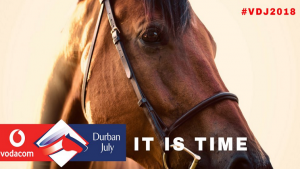 The post Anticipation brews ahead of Durban July appeared first on SABC News – Breaking news, special reports, world, business, sport coverage of all South African current events. Africa's news leader.. The Zimbabwe Defence Force (ZDF) has refuted allegations that it will rig the 30 July elections saying it supports President Emmerson Mnangagwa and ZANU-PF. The opposition MDC Alliance alleged during its protest march last month that the army was deployed to Zimbabwe’s Electoral Commission and at opposition campaign rallies. The army told the media in Harare that if serving members were participating in political campaigns they were doing so illegally, and will be disciplined. 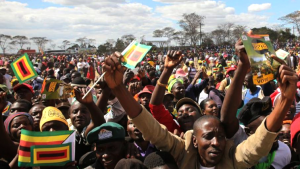 Staying in the barracks, the Zimbabwe Defence Force says no soldiers have been ordered to intimidate people in rural areas into voting for some political parties. The reports are mischievous. “If some serving members are participating in the on-going political campaigns, they are doing so illegally and not as a result of an instruction from commanders. Those with information on such misconduct must provide us with full details of such individuals for appropriate disciplinary action to be taken against them,” says ZDF’s Colonel Overson Mugwisi. On a charm offensive, the army detailed its current deployments that include clearing of landmines, parks’ rangers and construction of schools and clinics. It says it has no direct role in the upcoming 30 July elections. The army says soldiers will only be seen at political events attended by VIP’s assumingly for security, and humanitarian work. While soldiers have the right to vote they have been reminded they cannot hold political positions unless they are retired. The opposition has welcomed this. “They have been saluting not Nelson Chamisa but the authority I carry so I am not worried they are a patriotic army in fact I respect them, if there is one thing that tickles me it is the honour of our men and boys in uniform, they are my agenda number one they are not getting what is commensurate with the smart work they are doing, I have no problem with soldiers,” says MDC Alliance’s Nelson Chamisa. Southern African Development Community is confident the blast in Bulawayo was an isolated incident . “ I’ve had extensive discussions with President Mnangagwa soon after the hand grenade explosion as well as during the summit, I think those who sought to attack and kill were making an assault on democracy, we are pleased that he survived, it seems that it was a once off, otherwise I am confident that they will have a peaceful election,” says President Cyril Ramaphosa. 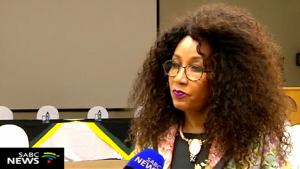 The post Zimbabwe Defence Force refutes allegations it will rig elections appeared first on SABC News – Breaking news, special reports, world, business, sport coverage of all South African current events. Africa's news leader.. The King of AmaZulu Goodwill Zwelithini has called on his subjects to stand up and defend their land. His majesty also warned political parties not to take voters for granted and continue exploiting them. He was addressing AmaZulu at an Imbizo at Ulundi in northern KwaZulu-Natal. Thousands of people attended an Imbizo called by the King at Ulundi in the north of the province. 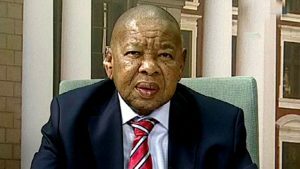 Parliament’s High Level Panel led by former President Kgalema Montlante recommended that the Ingonyama Trust whose sole trustee is the King be dissolved. Over 3 million hectares of land in KwaZulu-Natal falls under the trust. AmaZulu converged in Ulundi to get a cue from the King on the way forward on the land issue, and especially on the Ingonyama Trust. Speaker after speaker condemned the proposal to scrap the trust which controls millions of hectares of land in rural parts of the province. The king reiterated he would not allow government to take his land away. He strongly warned those suggesting that he lose his land. 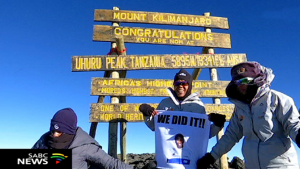 He also promised to take the Ingonyama Trust issue to the highest court in the land if need be. The Ingonyama Trust Act of 1994 allows amakhosi to hold all land previously owned by, or belonging to, the KwaZulu Government, in the name of the Ingonyama Trust. The trust is headed by King Goodwill Zwelithini. The land debate continues to be a burning issue for many residing in areas under traditional leaders. 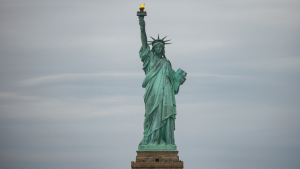 Ordinary people – including women – were given a chance to air their views. 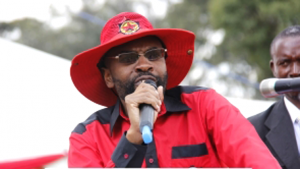 “We do not want government to take our land, because we are not going to afford rates like people in urban areas. We are using our land to feed our children,” says one participant. MKMVA spokesperson Carl Niehaus told the gathering that the ANC had not yet taken any decision on the recommendations made by the group led by former President Motlanthe. 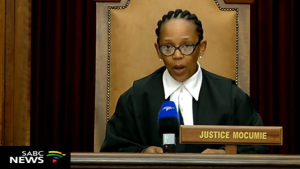 Ingonyama Trust Board chairperson judge Jerome Ngwenya says they will be taking the fight to scrap the board to the highest court in the land. King Goodwill Zwelithini did not mince his words addressing the Imbizo. He called on politicians to respect traditional leaders. Translation: “Politicians need not to interfere with the land under traditional leaders… I am not scared of those continuously challenging me.” The King of AmaZulu reiterated that he will not give government the land his forefathers fought for. 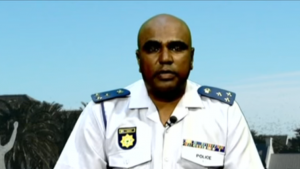 The King of the amaZulu also questioned the ability of police intelligence. He referred to the torching of several trucks at Mooi River in the Midlands earlier this year, allegedly by unhappy local truck drivers, demanding employment. He says intelligence services should have been able to pick up the planned protest. 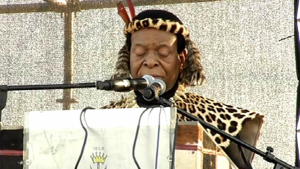 The post King Zwelithini calls on his subjects to defend their land appeared first on SABC News – Breaking news, special reports, world, business, sport coverage of all South African current events. Africa's news leader..